Buy your Houston Cougars football tickets from TicketGalaxy.com, the Preferred Resale Ticket Partner of University of Houston Athletics. The University of Houston has a great Division I football team. The team commonly referred to as “UH” is a member of the American Athletic Conference in the West Division. The team dates back to 1946 when they played their first season. Throughout the years, the Houston Cougars have been a dominant force in FBS Division I with many legendary coaches and players over the many decades since its inception. The Houston Cougars play at TDECU Stadium in Houston, Texas. Buy your tickets for Houston Cougars football from TicketGalaxy.com, the Preferred Resale Ticket Partner of University of Houston Athletics. Visit the official Houston Cougars football page. Purchase your Houston football tickets at Ticket Galaxy! Choose your event date and click "Find Tickets" to bring you to our array of seating options. Select your tickets on the maps page by clicking the price box. From there, TicketGalaxy.com will bring you to our checkout. Get your Harlem Globetrotters tickets quickly and easily today! 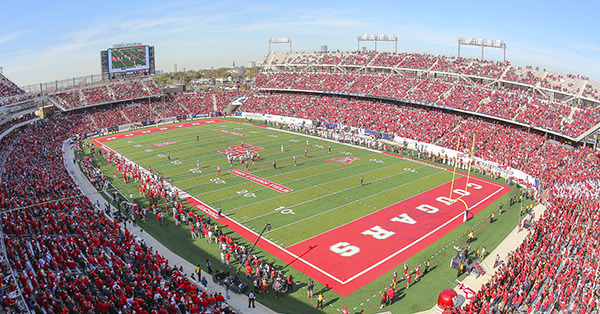 Ticket Galaxy is the Preferred Resale Ticket Partner of University of Houston Athletics.